Today, I allow students to write letter in the classroom to mend mistakes in examination. This classroom practice is conceivable because of limited number of students. 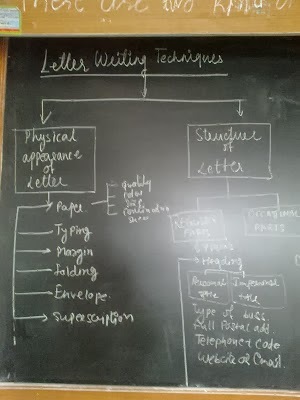 Every student write letter deprived of the body of the letter. At the last 15 minutes of the lecture, I have checked all their copies. Here, I post two scan pages. Learn to write correct letters and be smart writer.